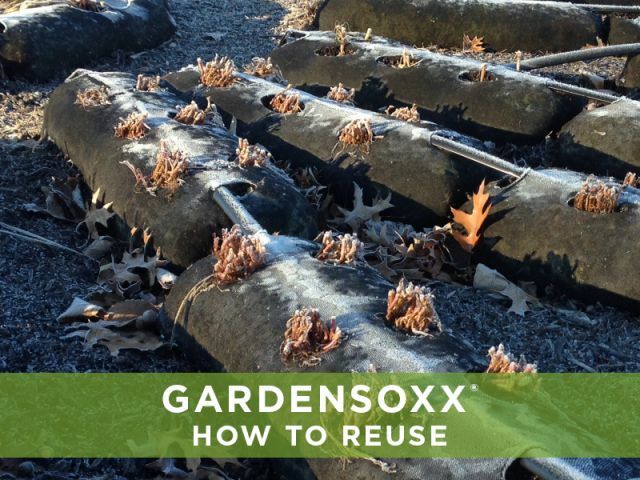 Instructions to get growing with GardenSoxx. 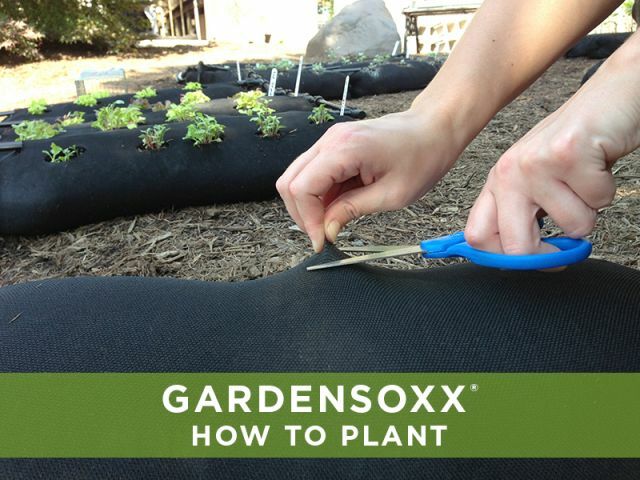 GardenSoxx® mesh technology makes planting quick and easy. Plant plugs, seeds, or bare root, following standard planting principles, without any digging or prep-work. Cut a small hole in the GardenSoxx mesh, approximately the size of the plug or root mass of the plant. Slice with a knife, or pinch and cut with scissors. Make a hole in the growing media deep enough for your plant. Follow recommended planting depths for plants and seeds. Place the plug or seeds into the hole and cover the plug or roots completely. Lightly pat the growing media around the plant. Cut holes about 2-3 inches wide. The hole will expand allowing plenty of space for seeds or plugs to grow. The mesh will not unravel if the hole rips or tears. Follow the planting guide for recommended plant spacing. If a drip irrigation kit will be installed, cut a hole at the top of each end of the GardenSoxx. 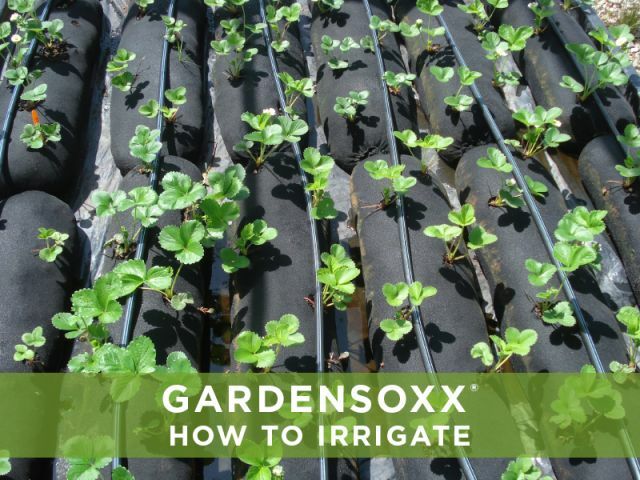 Topically water GardenSoxx thoroughly before planting, and immediately afterwards. 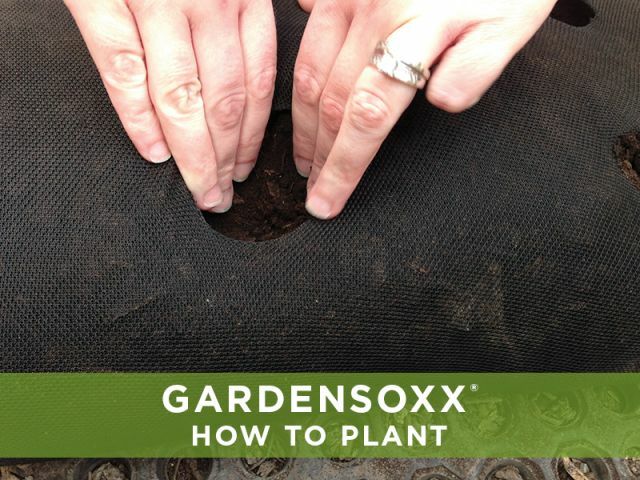 Make a small indentation or groove across the top of the GardenSoxx to help the water reach your plants. Click here to view our planting guide. 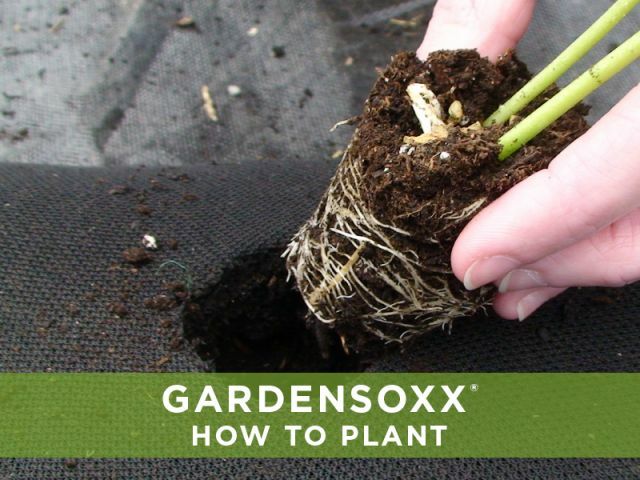 Learn how to maximize the growing potential of GardenSoxx.